RIT has contracted with PNC Bank to provide corporate travel cards to University employees. All regular RIT and NTID employees who expect to incur $500 of RIT approved business travel or hospitality expenses per year may apply for a corporate travel card. RIT and NTID employees may apply for a PNC Corporate Travel Card. The corporate travel card is "individual pay" - the employee (cardholder) is responsible to remit payment directly to the bank for all expenses incurred on the card in connection with business-related travel and/or hospitality. The employee may request reimbursement from the University for authorized business expenses. While the card is issued in the name of the employee, it may only be used to pay for business travel expenses including only hotels, transportation services including car rentals and airport parking, meals, and supplies needed while travelling as well as hospitality. The corporate travel card is not for personal use. It simplifies tracking reimbursable business expenses. Since the RIT tax exempt number is embossed on the card, hotels and other businesses are more likely to accept RIT's tax exemption. Using your card streamlines completing your travel expense report since card charges are imported into IExpenses from PNC Bank. Applying for a Corporate Travel Card ("Card") - You may initiate an application at any time. Departmental approval is required prior to submitting the application to Accounting. Go to the controller's office website for the PNC Travel Card Application. Return the completed application to Accounting, attention: Valerie Russell, EAS room 6008, for processing. Cards are usually available for pick-up from the Controller's Office within five to ten (5-10) business days after the completed form is received by Accounting. Sign the PNC Travel Card Cardholder Agreement and send it with your application. RIT identification is required for card pick-up. You are expected to read and comply with all terms stated in the disclosure agreement accompanying the Card. An account becomes delinquent when a payment has not been received by the bank and credited to your account within 25 days. 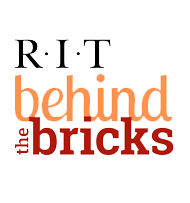 If an account is not paid within 31 days, RIT will send an email notifying you that the account is past due. Reimbursement for Expenses - Complete a RIT Travel Expense Report online to be reimbursed for business travel or hospitality expenses charged to your Card; RIT will not remit payment for your bill directly to your Card provider. If your account is 61 or more days past due. Inform the vendor of RIT's tax exempt status before the transaction is processed. You will be asked to present a New York State Tax Exempt form; forms may be obtained from the Controller's Office at 475-2383. Refer to the Controller's Office web page for a list of states that recognize RIT's tax exempt status; call the Controller's Office at 475-2383 to obtain the tax exempt form for the state you are traveling to. Automobile Rental and other transportation services, excluding air and rail tickets that should be charged to the CTA account through one of RIT designated travel agencies. Refer to the Controller's Office web page for more information.